Created to provide helpful information about the Arkansas Cannabis Industry. You can see the full list of applicant requirements, including required documentation and information, here. Should you be awarded a business license, you’ll need to familiarize yourself with these official rules and regulations. In Arkansas, a marijuana cultivation license permits the license holder to cultivate, prepare, manufacture, process, package, sell and deliver usable marijuana to a dispensary. Applications will not be considered without all required information, documentation, and applications fees. Cultivation Facilities may grow and possess usable marijuana in an amount reasonably necessary to meet the demand for and needs of qualifying patients as determined by the commission. Cultivation Facilities are also permitted to possess marijuana seeds. Regulations allow for 5 Cultivation Center Licenses throughout the state. The Medical Marijuana Commission will establish an open application period for available licenses. 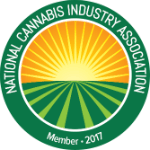 If you are awarded a cultivation license, applicants have 7 days to submit a $100,000 cultivation facility license fee in certified funds. Detailed information on Arkansas Cultivation Licenses can be found here. Where can I apply for a cultivation license? A cultivation application can be found here. Licensing information for Arkansas Medical Marijuana Laboratories has not yet been defined by the state. Information will be updated here as it becomes available. The Arkansas Medical Marijuana Commission will be awarding 32 marijuana dispensary licenses. The commission will establish an open application period for available licenses. Licenses will be distributed within eight (8) geographic zones, which are yet to be determined. This is in an effort to ensure accessibility to medical marijuana across the state. Arkansas offers two different types of dispensary licenses; one for solely dispensing, and a 2nd for cultivating dispensaries, which permits the dispensary to cultivate (grow) their own product for retail sale. Dispensaries licensed to grow can have up to 50 mature plants and 150 immature plants. If awarded, the applicant must pay a dispensary license fee of $25,000 in certified funds. A dispensary also may contract with a cultivation facility to cultivate one or more mature marijuana plants the dispensary is permitted to grow. Most states require dispensaries to track and trace all of their cannabis-related products for regulatory and compliance reporting requirements. Our Dispensary Point of Saleand inventory management system provides comprehensive seed-to-sale cannabis tracking with a focus on compliant data points. If your state requires seed-to-sale systems to stay compliant, BioTrackTHC has you covered. Our system is customized to meet the unique regulatory frameworks in each and every state. You can view a full list of required documentation and information for Arkansas Dispensary Licenses here. Where can I apply for a dispensary license? A dispensary application can be found here. How can I get an Arkansas Medical Cannabis Card? Currently, Arkansas is not distributing Medical Marijuana Cards because they are yet to award business licenses and implement locations for dispensing the medicine. Once the state launches the necessary licensing, patients will be able to receive a written recommendation from a physician to apply for a Registration Identification Card, which is issued by the Department of Health. What are the qualifying conditions for Medical Cannabis in Arkansas? Arkansas’ Medical Marijuana Program is operated by the Arkansas Medical Marijuana Commission. The commission is made up of 5 members, which were selected as the inaugural members in December 2016. Alcoholic Beverage Control Administration, who will enforce inspections and written warnings/fines for non-compliant cannabis businesses. Arkansas Department of Health, who will be responsible for evaluating and awarding medical marijuana registrations. Download a full overview of the rules and regulations for operating a licensed dispensary or cultivation facility in Arkansas here. For the latest cannabis-related legislative updates on Arkansas, check out our Cannabis Bill Tracker! Are you applying for an Arkansas cannabis business license? 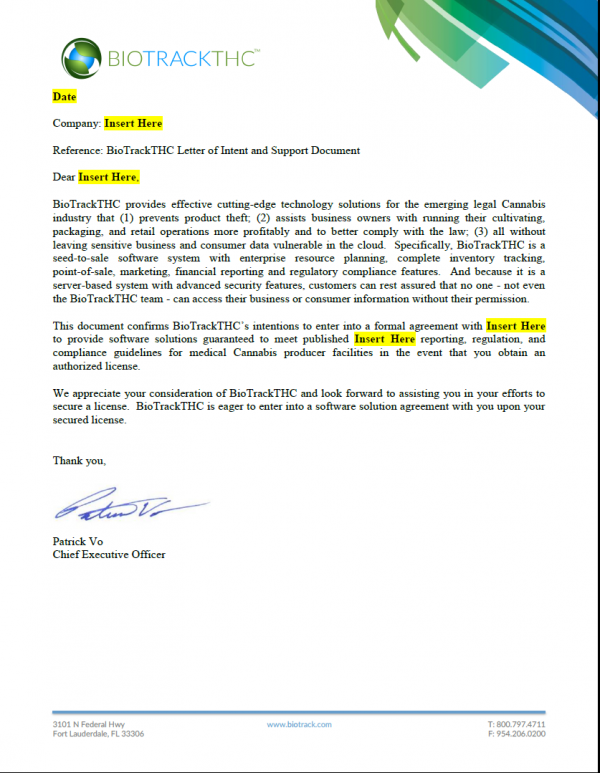 The BioTrackTHC support doc provides valuable content to your business license application and addresses the following requirements related to cannabis seed to sale tracking and inventory management. For more info or to acquire your support doc, please contact our sales team. For more information and to acquire an Arkansas medical cannabis business license, please contact our Sales team. ARKANSAS SUCCESS STARTS WITH CONTACTING US!